Want to know the different types of soaps that are available in the market? With this article, find the various kinds of soaps. The soap industry is constantly working hard to produce newer soap formula, which would surpass all the previous brands and products, in order to convince the buyers to take a step ahead and give it a try. While the makers are constantly at the job of innovation, did you notice that over the years the product itself has been categorized into several types depending upon the usage that it is meant for? 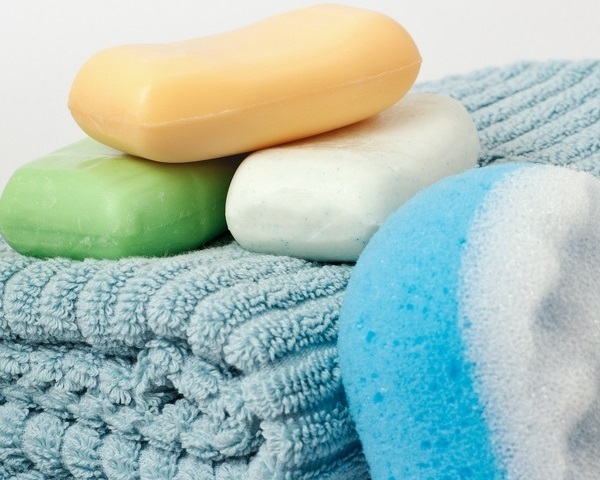 There are soaps for personal use, laundry use, dishwashing and even pet cleaning! Though any ordinary soap can do the job of removing dirt and grease (which is the basic purpose of any soap), most dermatologists and skin specialists recommend their ‘special’ soaps only. This is the same case when it comes to dishwashing and laundry, with every company betting on its products. Take a look at the different types of soap that are donning the market shelves these days. Soaps that take the shape of various items, such as a rubber, duck or soap-on-the-rope, are termed as novelty soaps. Their purpose is not only cleaning dirt and grime, but also providing amusement and enjoyment. Manufactured especially for kids, such soaps are generally designed in a novel manner to allure the kids. With a few additional ingredients and perfumes, manufacturers are out with perfumed soaps. Some even give the soaps a new design to fit their varied range of products, but the fact is that these perfumes can be easily attained in the form of colognes and deodorants as well. Furthermore, the basic idea behind using soap is to rinse the dirt off. By adding perfumes, the soap counts as a potential source of skin irritation for allergic people. Miniature soaps that are molded and shaped into attractive shapes are guest soaps. These are basically meant for use by the guests either in the main bathroom or separate guest bathroom. Flowers, sea shells and rounds are some popular and commonly used shapes for guest soaps. Medicated soaps are also similar to original soaps, the only difference being the addition of antiseptics and disinfectants. While some are highly useful, others simple tag their soaps as medicated for the sake of inducing customers to buy them. Formulated specially to clean grease, solid particles and organic compounds from clothes, laundry soaps are mild disinfectants that are available in liquid, powder and gel forms. They can be used in different conditions and water temperatures. However, they work best in hot or warm water. Kitchen soaps are further categorized into two: cleansers and dish detergents. Cleansers assist in eliminating heavy oil or solid particles and hard-to-remove stains and hence, are prepared with mild abrasives. Dish detergents, on the other hand, fight against tough grease and release the solid dirt particles in the foam that is produced by the detergent. Dish detergents are of two types, namely, machine dishwasher detergents and hand dishwashing detergents.